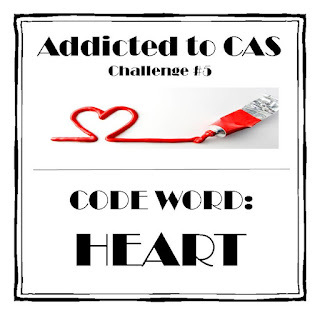 Es ist wieder so weit - es gibt eine neue Challenge bei Addicted to CAS! Es gibt auch wieder einen wundervollen Sponsor. bietet einen 10$ Gutschein für unseren CAS Perfectionist. Das Design Team hat wieder total unterschiedliche und kreative Inspirationen zu diesem Thema kreiert, ihr solltet unbedingt einen Blick riskieren - und danach natürlich selber mit machen! wow tolle Karte...so ganz anders als bei dem Thema erwartet,und deshalb grad so toll! Hi Christine, another fun and colourful CAS creation from you, I love to visit your blog as I am always inspired by your great take on challenges and this beauty is no exception. Hi Christine, what a beautiful, fun CAS card, I love to visit your blog as I am always inspired by your crafty creations, this guy ia just so much fun and love how you have used the paper strips as a background. Only you could combine a monster with the heart so successfully! Great result... And the background is sooooo clever! Each of your card is such a great inspiration!!! This made me laugh so much Christine. Such a fierce dragon puffing a dainty red heart - priceless! That is so cute!!!! Gorgeous! 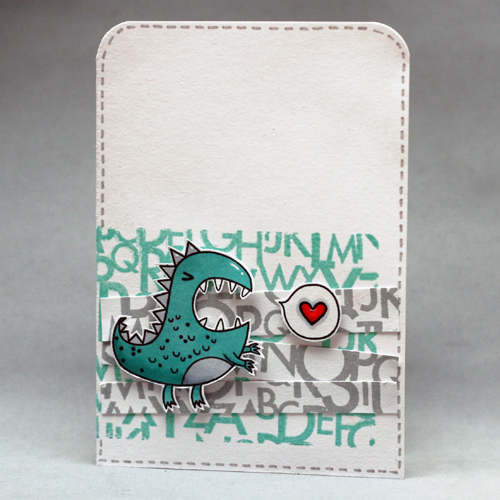 Totally cute Christine - love your little monster and the colours you used. Brilliant use of space and color combination! Wonderful! Brilliant!!!!! What a wonderful card Christine. It has made my day seeing this. I am smiling from ear to ear as I type this.